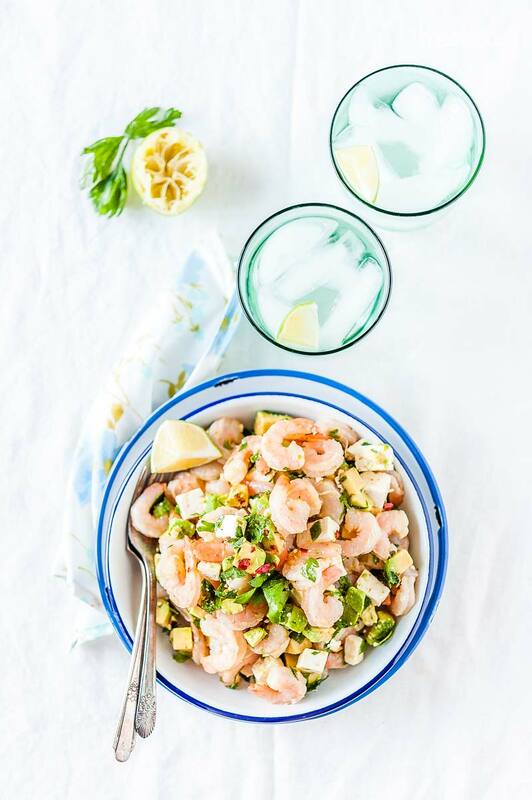 Shrimp Avocado and Feta Salad is delicious, colourful, and healthy. It’s a perfect light and healthy summer lunch or dinner. Add a couple of toasted bread slices and you can turn it into a delicious sandwich. The Shrimp Salad is easy and only takes a few minutes to prepare. A few years ago Pinterest was flooded with baked avocado recipes. There were cute avocado boats baked with an egg and bacon. There was breaded avocado “fries” baked in the oven. There were even fried avocado spring rolls. I tried avocado and eggs back then. The pictures turned out gorgeous. Bright green avocado flesh contrasted with oozing orange yolk. I added some tomatoes for colour and cilantro for texture. The plate looked so beautiful. Unfortunately, I did not like the taste. Fast forward to now and I decided to do baked avocados again. I tried. I really tried to like cooked and hot avocados. I was disappointed once again. I guess it’s an acquired taste but I will definitely not be acquiring it any time soon. My idea was to mix shrimp, avocado and feta and bake the mixture under a light coating of crunchy breadcrumbs. It was delicious right before it went into the oven and not so much after. But that gave me an idea – the mixture was just perfect, so maybe it didn’t need to be baked? Maybe it was just meant to be eaten like that. So, I tried again and again and wasn’t disappointed with the easy and delicious Shrimp Salad that I created. 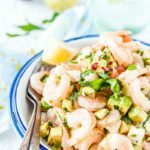 This Shrimp Avocado and Feta Salad is delicious with a bit of tang from the lime juice and heat from the chili flakes. The saltiness of the feta compliments the smooth taste of avocados. The textures of shrimp, avocado and feta play wonderfully together. 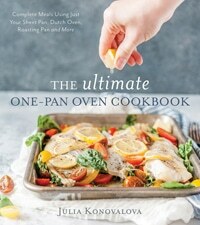 Add a big slice of toasted crusty bread and you got a great summer lunch or dinner. Place a little bit of the mixture in between two slices of toasted bread and you got a great sandwich. 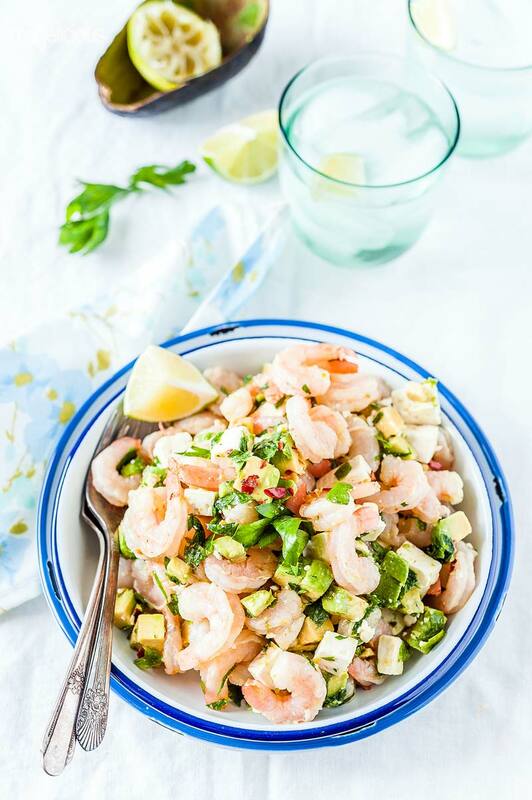 The Shrimp Avocado and Feta Salad will last in an airtight container in the fridge for 24 hours too without getting soggy or losing on flavour. I wouldn’t store it for more than 24 hours. The salad will not spoil but it will become watery. 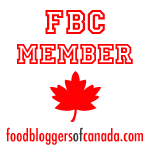 In most cases I love creamy Macedonian Feta cheese. However, for this Shrimp Salad, I would strongly suggest using plain Canadian Feta. You need something firm, maybe a bit crumbly, but definitely not creamy. It’s really easy. Mix some cooked and cleaned shrimp with chopped feta and avocado. 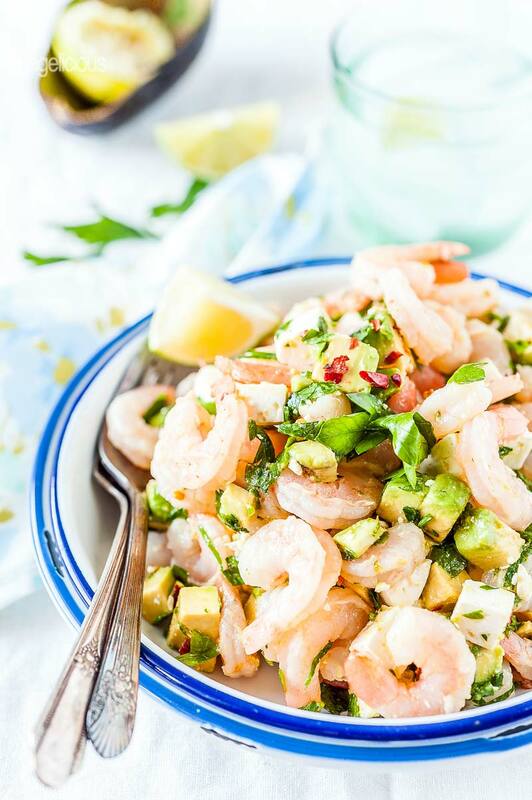 Add chopped parsley, lime juice, olive oil, a few spices and you have the most delicious and healthy and filling Shrimp Salad. I don’t use too many seasonings but you can add fun spices to make it to your taste. I buy frozen cooked shrimp with the tails on and defrost them in a bowl of cold water. I also like to use paper towel and squeeze a bit of moisture out of them. You could also buy shrimp that is fully cleaned and doesn’t have the tail on anymore thus you could make the salad even faster! I also very highly recommend reading The Ultimate Guide on types of Shrimp by Champagne Tastes if you’d like to know more about buying shrimp. If you are wondering what you could do with the second half of the avocado then I suggest my Avocado Chocolate Banana Pudding for dessert! In a large bowl mix together juice and zest of one lime, garlic powder, chili flakes, chopped parsley and olive oil. Add peeled and cooked shrimp, diced feta, and diced avocado. Mix well and serve with more lime. You could use lemon if you'd like instead of lime. A perfect light and flavorful dish for summer!